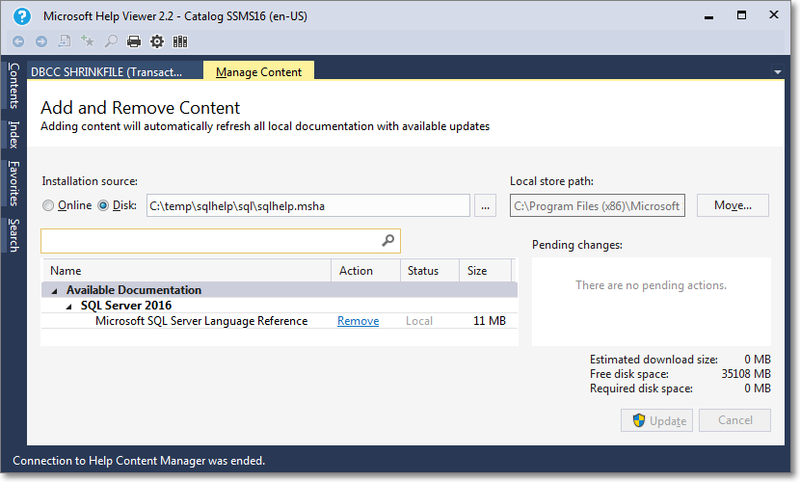 A couple of years ago I blogged about Installing the SQL Server 2014 Language Reference Help from disk. With SQL Server 2016 things changed significantly: we have the new Help Viewer 2.2, which is shipped with the Management Studio setup kit. 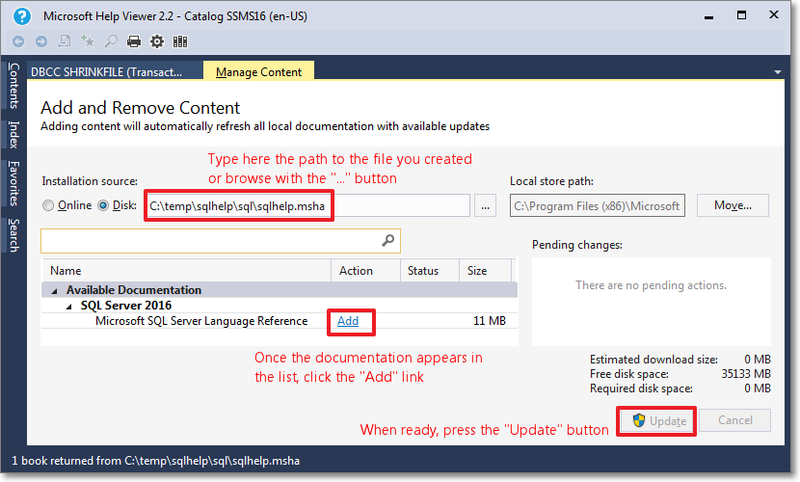 However, despite all the changes in the way help works and is shipped, I am still unable to download and install help content from the web, so I resorted to using the same trick that I used for SQL Server 2014. This command opens the Help Viewer and asks for the content to add. Browse to the file you created in step 3. Click “Add” on all the items you wish to add to the library. In this case you will have only 1 item. When done, click the “Update” button. 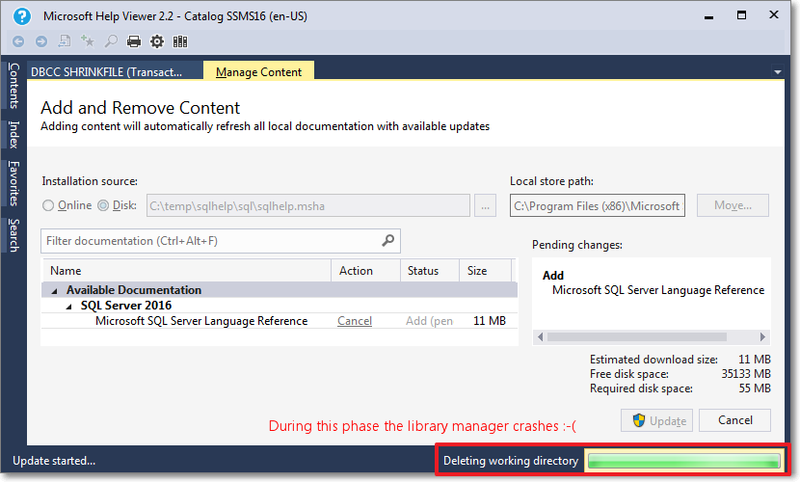 Unfortunately, during the installation phase of the library item, something crashes and the installation won’t proceed until you tell it to ignore or report the error. Here it is, nice and easy. Hope it works for you too.